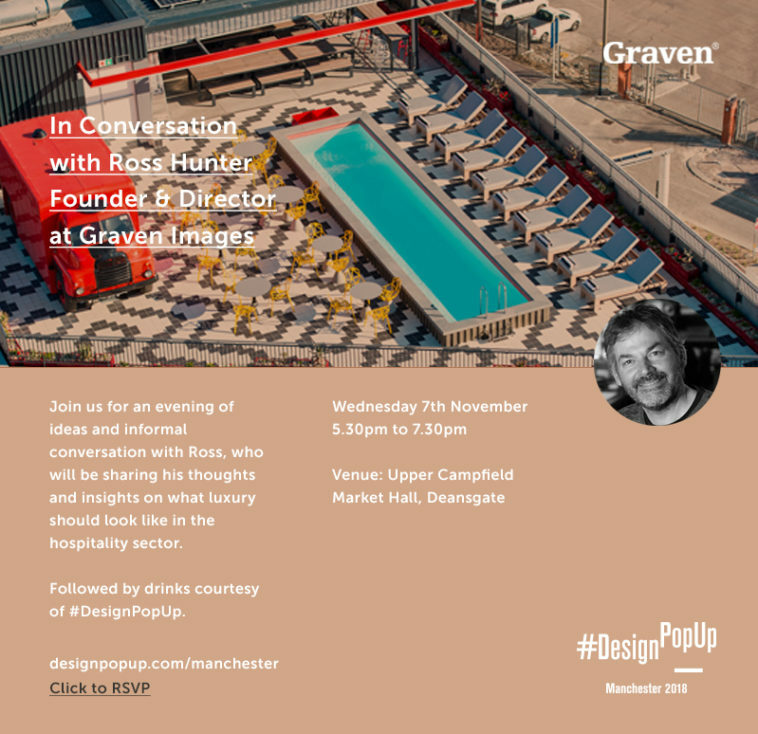 Design Pop Up in Manchester welcomed Graven co-founder and Director, Ross Hunter, last night as he discussed luxury in design and asked the question; does luxury still exist? 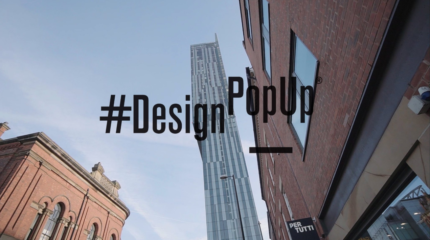 Design Pop Up is attended by a who’s who of architects, designers, specifiers, contractors and developers from the major UK practices, #DesignPopUp events have become synonymous with quality, innovation, creativity and opportunity. Always held in interesting architectural spaces, the event took place at the Upper Campfield Market Hall. Ross discussed luxury in the modern world and whether its ubiquity in mass marketing has numbed our sense of quality. Or has luxury become a synonym for ill-education, elitism and laziness? Alongside this, Ross also talked about products and brands that used to be considered as ordinary but are now difficult to create and expensive to own. In order to establish what the audience perceived as luxury, Ross used some examples of projects which Graven have been involved in to get their thoughts on luxury within multiple types of design, including Graven’s work with Missoni and Radisson Red. Ross also showed some of the first images of Peacock Salt’s fabulous Graduation Tower, the only one of its kind in the UK and soon to be producing salt using natural evaporation over compressed blackthorn. Graven would like to thank Sara Seravalli at Design Pop Up for the invitation and all of last night’s guests for joining Ross. We look forward to returning for future events!